Together with the growth of the internet MLM (Multi Level Marketing) system is the phenomenon of our age. 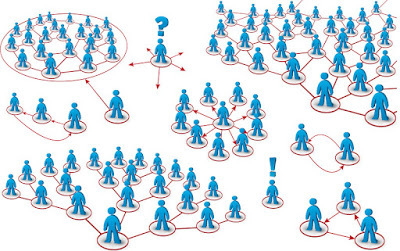 MLM is sometimes also called „network marketing“. It s the way of promoting business which combines two marketing strategies - direct marketing and franchising. By purchasing a product from a company, you become the distributor of the company (sales representative). If you manage to sell the products to other people, you get an interesting commission on the sale and you can establish a passive income. There are more than 5000 MLM companies all over the world which offer different products. You are paid for your results in MLM and it is up to you how you reach them. People often use MLM system as an extra income (part-time job) to their main job. MLM is also often recommended as an extra income for mothers on maternity leave, students or seniors. What is the most important in MLM? You are still looking for new people to add into your business structure in any MLM. The more, the better. First, you address your family, neighbors, acquaitances and friends. But these will eventually become exhausted and so you probably start writing advertisements in newspapers or on the internet, post up leaflets, etc., in your constant search for new members you approach a large number of people but the same large number of them are not interested in your MLM. It costs you a lot of energy and effort. I believe, that you agree with me, that the greatest probability of success in finding a person, who is already actively doing any MLM. These people already know, how MLM works and what it takes. Actually people become the most valuable part in any MLM. If you have contact information about people, then money will come. That was the reason for creating this website. Here you can find contact information about people who are interested in MLM systems. Your work will be more efficient, you will get new contacts easily . Website MlMpeople.eu is open to the whole world, so you can make new contacts in other countries and grow your MLM business into really big size. Because the registration to our database is paid, you will find only people who have a genuine interest in MLM. We hope that these pages will help you to flourish your MLM. Sign up, verify your e-mail and pay the registration fee 5 USD (PayPal). immediately, 1 credit = 1 contact. Choose from the list of registered people contact that you like and buy it. It costs 1 credit. Because you can see in advance a list of MLM, you can see where is the person working or what he already knows or wants to do not so you dont waste credits unnecessarily for inefficient contacts. The data collected will be forever accessible. After displaying (payment) contacts you can see the name, email (authenticated), and possibly phone number (this is optional). Contact the person you can use any possible way (email, phone). When you send an email, make sure to mention that you are getting contact from the website MLMpeople.eu so you can´t be accused of spamming. You can buy more credits (see price list). When you recommend a new person to this website, you get 20 credits. To be registered for longtime pays off. Whenever 10 users buy your contact, you get a loyalty bonus of 1 credit.